I looked through many photos before I could finally settle on this one. I thought “Golden Gate Bridge – I was born in San Francisco….” And then I thought of a shot of our house or our living room, or Hawaii where I lived for a while and felt it to be home. I’ve made my “home” all over the world. Should I do a collage of St. Lucia in the Caribbean; San Francisco; Santa Fe; Hawaii; Mexico (I felt very at home living in Mexico); Europe? I could toss in Germany. What does say home to me? 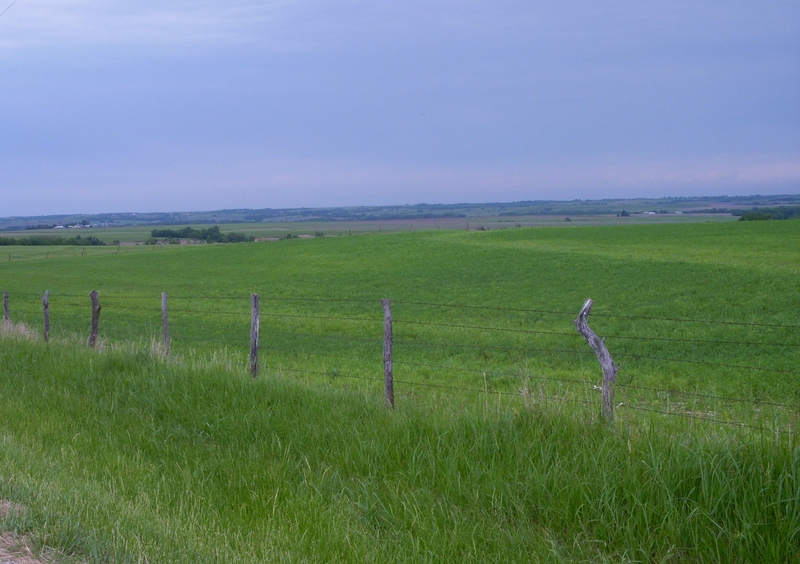 The bottom line is that the tall grass prairie and the long stretching vistas of Kansas tugs at my heart in a way nothing else does. 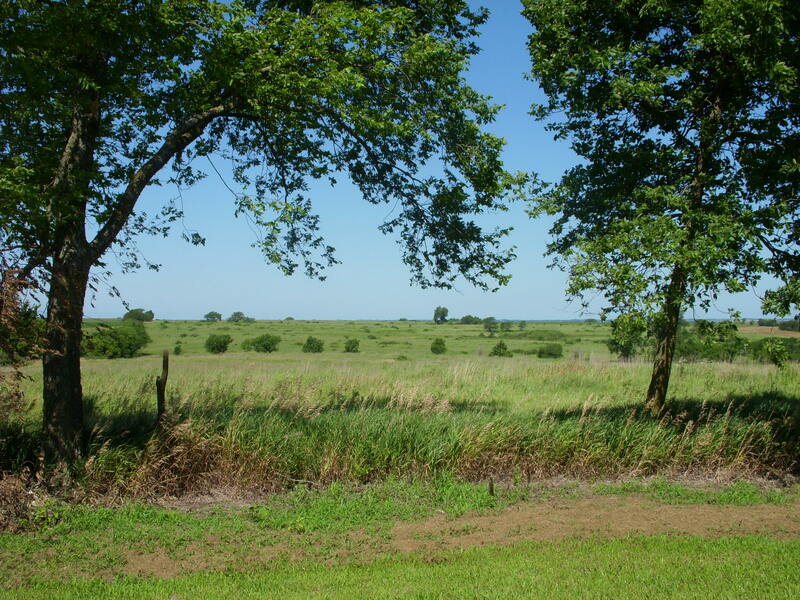 Here’s another shot of Kansas prairie – this looking across the west side of the farm where I spent my adolescent years – the farm still in the family – five generations of family – and an original Kansas homestead. Not much to see is there – green. Some trees. Grass. Maybe you have to be raised on the prairie to see the beauty in it – the raw call to space – and sky. Lots of sky. And now this one – the long shot into horizon and space – the shot into Indians on the hills and covered wagons rolling across the grass – this is the scene that always fills my heart with glory and longing. And I wonder, sometimes, actually most of the time when I’m driving along these rolling roads, if one of the reasons I have such an affinity for this land is the sacred quality and energy left behind by the Native Americans who roamed this country for hundreds, maybe a thousand years before we came. They danced and sang and wove and hunted and had babies and died and danced. And sang. 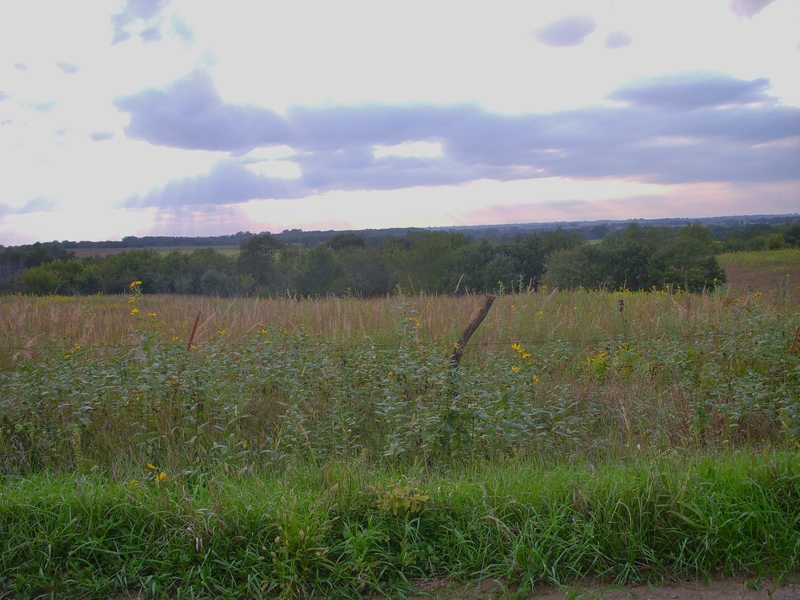 The Kansas prairie still sings. Ah Auntie, the song restores my soul. Thank you, thank you, thank you! Ahhhhhhh, thank you Janet. A much appreciated respite after looking at words on screen all evening.